Department of Water Resources begins search for a design-build construction firm to execute habitat for endangered migratory birds. The Salton Sea Species Conservation Habitat would occupy 3,770 acres and create a safe space for certain endangered migratory birds. “The project is aimed at preventing further degradation of air quality and habitat and will anchor phase one of the state’s Salton Sea Management Program, which focuses on constructing wetlands and other projects to reduce exposed lakebed and health hazards posed by airborne dust over 50,000 acres of playa,” DWR staff said in a released statement. The project is part of the Salton Sea Management Program’s 10-year first phase. A proposals request will follow the Request for Qualifications, likely in July 2019. State officials anticipate allocations $190 million to the project. One of the hurdles between now and July 2019, however, is land access. The Salton Sea Management Program would need access to the area where the habitat would be built. Access would have to be granted by the Imperial Irrigation District. The habitat, if realizes, would be built in the New River area, a tributary of the Salton Sea and located 8 miles northeast of Westmorland in Imperial County. Companies must submit their Request for Qualifications applications by 5 p.m. on April 15. More information about the project can be found online at water.ca.gov/Programs/Engineering-And-Construction/Design-Build-Contracting. Establishing a habitat at the Salton Sea spawns from the waterway’s current conditions. The Salton Sea, which is 35 miles long and 15 miles wide, is a large, inland desert lake, containing higher salt levels than the ocean. Several species of fish are found at Salton Sea; the fish are a food source for millions of migratory birds that pass through the area on the Pacific Flyway. 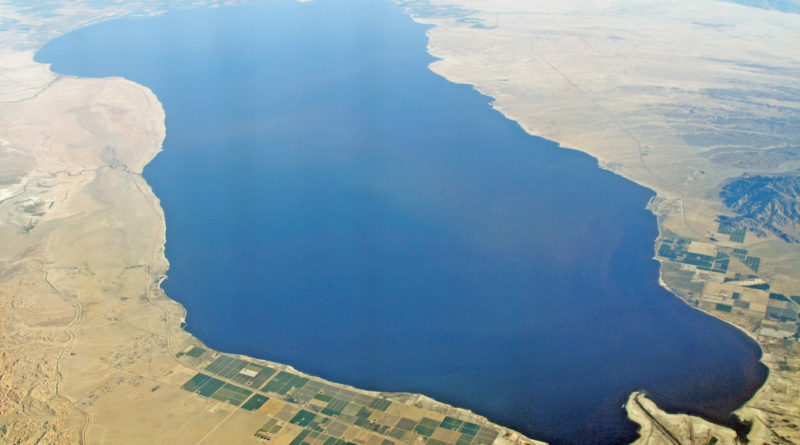 Water levels at Salton Sea have steadily declined over the years, causing salinity concentrations there to increase. A Salton Sea Task Force was created in May 2015 by then Gov. Jerry Brown. The task force was created to direct agencies “to develop a comprehensive management plan for the sea.” State officials hope the realization of the species conservation habitat would be the first step in restoring or improving conditions at and around the Salton Sea.